Fun Winter themed birthday party ideas for kids, tweens and teen parties. 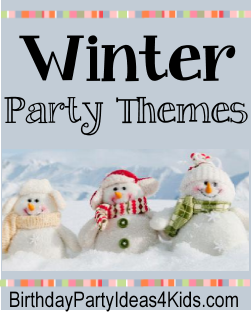 Fun party games all with a Winter theme! Add them to your Winter theme birthday party for extra fun! Great for kids, tweens and teenage parties.